The Audio Baby Monitor 450 helps your baby drift off to sleep with a soothing star and moon light show and choose from up to 18 different lullabies. Never miss a sound from your little one as with crystal clear interference free audio and up to 300m range, this monitor gives you peace of mind. 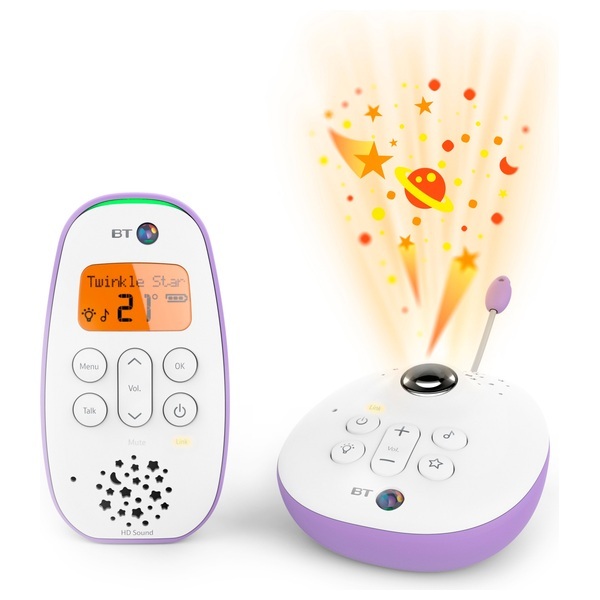 Sound level LED's alert you visually to any sounds coming from your baby's room and when you just want to reassure your baby you're always there, the two way communication talk back feature keeps your baby and you connected. We know you don't want to disturb your sleepy baby and this monitor features an adjustable nightlight to help you check on your baby during the night.